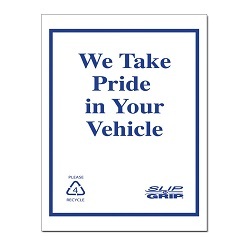 Slip-n-Grip floor mats keep customer carpets clean without bunching up under brake and accelerator pedals. 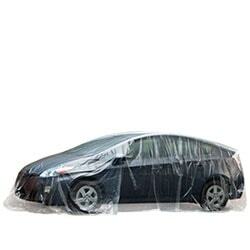 Forms a complete plastic barrier to dirt grease and grime will not soak through. Slip-N-Grip seat covers multi-layer construction ensures that they stay in placethroughout the entire service process. 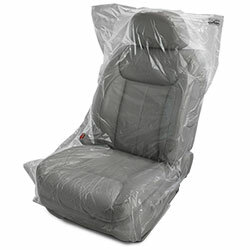 The bottom layer grips the seat to remainin place while the smooth top layer allows easy entry and exit from the vehicle.They are disposable and recyclable. 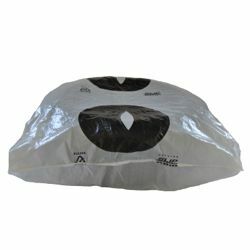 Slip-N-Grip tire bags contain a minimum of 15 percent GreenPE recycled resin andare ideal when returning old tires or snow tires for storage. 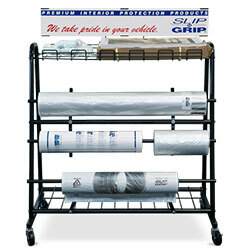 Slip-N-Grip parts bags are high-strength and imprevious to most shop chemicals. 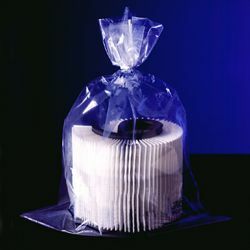 Perfect for detail shops-car washes-used card dealers-showrooms and RV outlets. 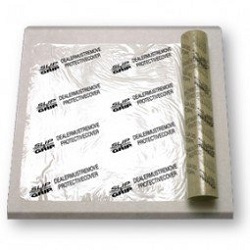 21 inches by 24 inches clear mat is a full 3.0 mil thick with a high-strength adhesive coating. 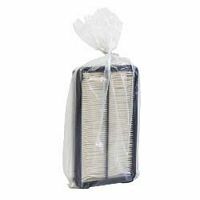 Organize your interior protection products neatly and in handy reach. This heavygauge steel dispenser stand has a spring-loaded arm so seat covers and floor mats tear easily at perforations and never over-roll. 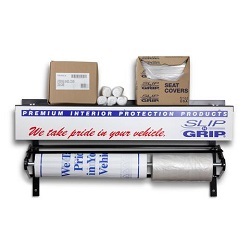 Built to conveniently store both paper and adhesive floor mats as well as dispatch tags parts bags steering wheel covers and any other protection products in your service bay.